When I was a teenager, I started taking guitar lessons with the local teacher outside of Munich. I got into music and the guitar pretty quickly and at the same time began to read every issue of Gitarre & Bass magazine from the first to the very last page. I soaked it all up and was so fascinated about every aspect of playing the guitar that I knew that I wanted to be a professional musician. Fifteen years later the folks over at Gitarre & Bass in Cologne featured my album Fernweh and did an artist portrait about me in their April 2015 issue. They also invited me to do a video-workshop at their in-house studio. I was really proud to give insight into my career and the musical issues I deal with. We talked about my history as a musician, about the equipment I use to get the tone I search for and about some tricks to be able to learn jazz improvisation on the guitar. It was great fun to meet Lothar Trampert and Dieter Roesberg, check out the entire magazine facilities and of course talk about a lot of very interesting stuff. Definitely a day to remember for me! As a musician, I'm constantly trying to push the limits of my guitar playing. What I look for is equipment that I can truly trust, which in return, makes me feel more confident and therefore helps me discover new territories in music. When I tried out and played Ben Monder's two Ibanez Artstar guitars a few years ago, I immediately knew, my search for a new guitar had ended! After approaching Ibanez in Germany, I managed to become an official endorser for the company and have been happily playing their instruments for the past three years. I am more than proud to represent and advertise for Ibanez, especially when thinking about the great traditions and reputation this company has built over the last eighty years. Prior to embarking on a recent tour in Finland, Ibanez sent me a new AS-200 guitar that took me about 5 seconds to fell in love with. I felt immediately at home with the instrument and decided to take it to Finland. It was amazing how good it sounded in different rooms and settings. Another visit to Ibanez is planned for this summer and I couldn't be more excited to check out the latest developments at the guitarists candy store. I will keep you posted! Also, stay tuned for official workshops and clinics which I will be announcing as soon as possible. Recording, mixing and producing a new record is always an entire journey in itself. When I wrote the music for Fernweh, I had a specific feeling about the specifics the record should convey to the listener. I was proud of the way the band played my music and how the final results sounded. The liner notes, written by one of the most prominent american jazz journalists, Bill Milkowski, made a huge contribution to the success of the latest album. Newspapers, magazines and blogs throughout Germany, Austria, Switzerland and the US were full of praise for the music on Fernweh. 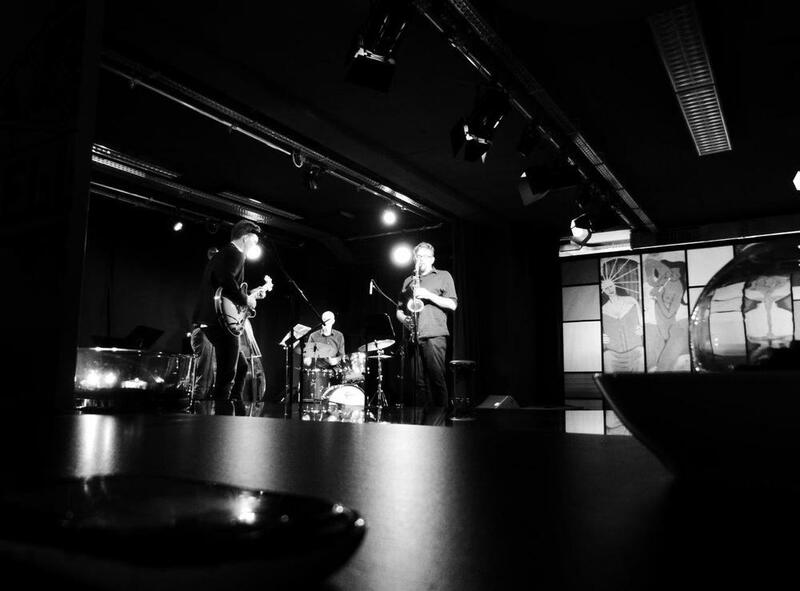 They liked the „almost telepatic interplay of Reto Suhner and Max Frankl“, the „warm and rich sound“ of the entire band and the guitar playing of Max Frankl, that „withdraws itself from every possible categorization“. There are more tour dats for Fernweh coming up for 2015/2016. The next gigs will be a live radio recording in Hertogen-bosch/NL and a little tour in Germany in November 2015. Additional concerts and events will be announced as soon as they are booked.